Keep your events organized and exciting with this Carnival King assorted 1-part "Admit One" tickets set! Complete with four rolls of 2000 tickets each, the blue, green, red, and yellow colors will help you easily differentiate between games and activities. With perforated edges and lightweight paper material, your staff and guests can quickly exchange and cash in tickets so the fun doesn't have to stop. 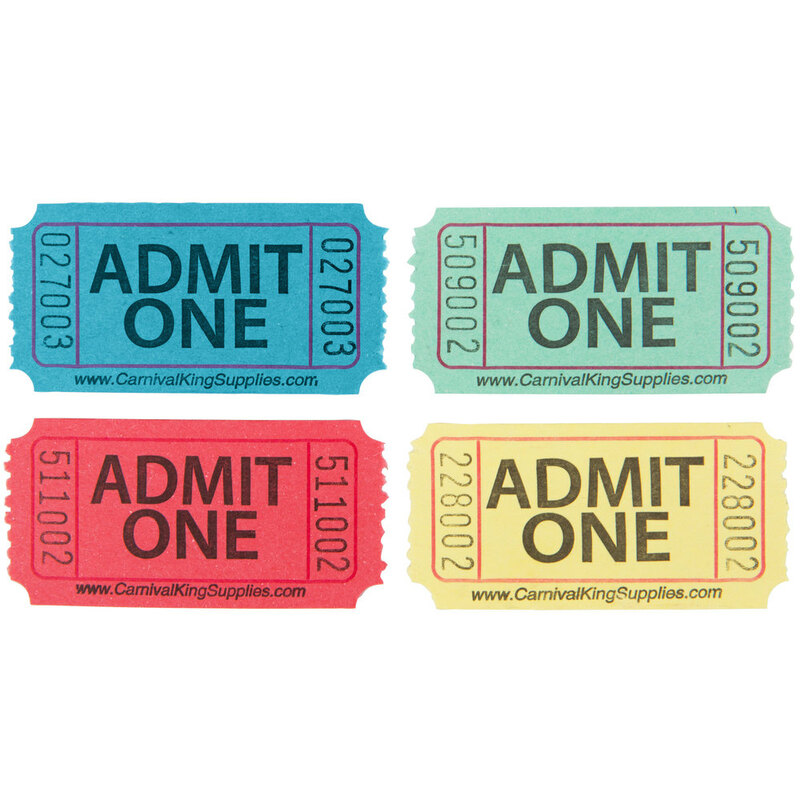 Each ticket number is printed once on both ends of the ticket to ensure legibility while also providing a great source for attendance tracking and raffle competitions. Whether at a sporting event, carnival, or fundraiser, lines will move smoothly and efficiently when you use the Carnival King assorted 1-part "Admit One" tickets set. And once the night is through, any used tickets can easily be thrown away. Make your event interesting with a splash of color from this ticket set!